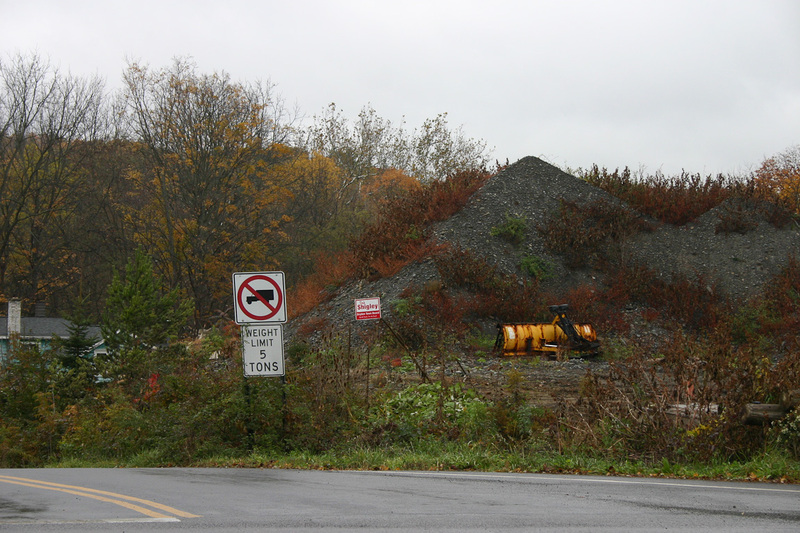 I heard last night that the Town had finally ordered an end to the ever-growing pile local residents call "Mount Varna", at the intersection of Route 366, Freese Road, and Mount Pleasant Road. 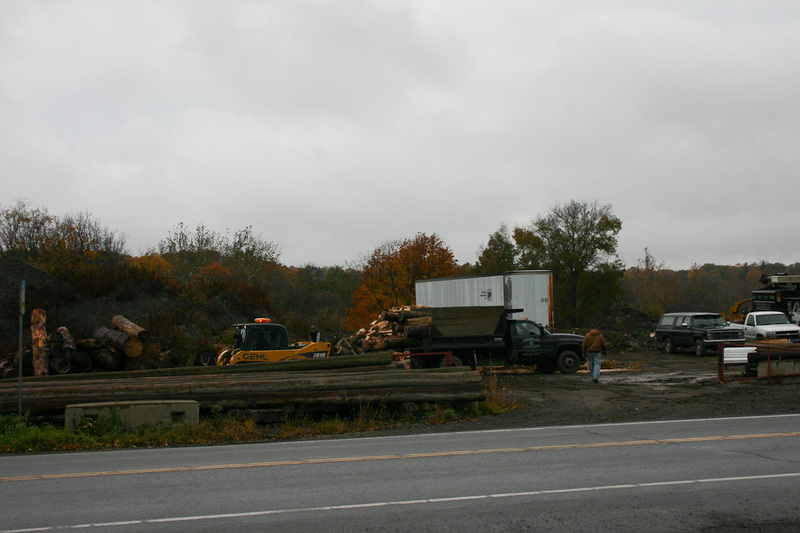 It had grown over the years from a pile to a small mountain and parking lot, and more recently seemed to have become a storage yard for logs and firewood. Residents have considered it an eyesore and a safety hazard for a long time. I stopped by this morning to take some pictures, which apparently didn't thrill Mike, one of the workers there. He came over to talk with me, and explained what they're up to. 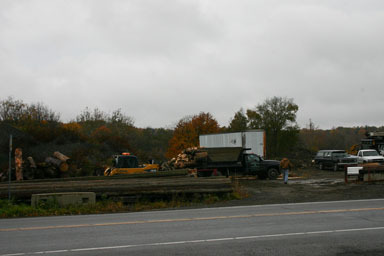 They're removing the logs and firewood first, and are working on adding berms and retention ponds. They'll flatten the pile, and eventually it will be a filled lot, like many others on the north side of 366. The Town's been dealing with a lot of fill issues lately, as Cornell seemed to give fill to anyone so long as they got it out of there. At the last Town Board meeting it sounded like Cornell was finally getting the message that this was a bad idea, and residents are figuring out the rules, especially the new stormwater management rules. I understand that there's an appeal to filling land, and a lot of my own neighborhood is built on fill. On the other hand, it's hard for me to imagine how a massive pile of dirt next to a dangerous intersection in a populated area on a state highway ever seemed like a good idea to anyone. I'm glad this is departing, and hope the Town can prevent future recurrences.